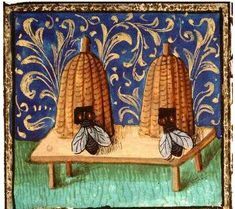 In comparison to our lives today, life in the dark and middle ages was not easy. Peoples’ routines revolved around the seasons – which would signify whether or not they had food – but hand-in-hand for the people that lived during those centuries were the animals that served them. Animals served as transport, hunters, food and companions and played a very important role. We think that this year the animals deserve homage! All of the critters including the monstrous and mighty right down to the meek and minuscule. From the animals essential to life and survival such as chicken, bees, sheep, goats, swine and cattle; the hunting and herding dogs, the draft animals that carried food and supplies and then on to the horses that carried people on their travels and into the hunt and to war…. Animals served a huge role in the lives of their owners. The Abbey Medieval Festival attracts over 30,000 people across Australia who make the annual pilgrimage to Caboolture, Queensland for two-days of non-stop feasting, music, dancing and drama of Medieval era. And this year – we honour the Animals too! The bloody hand-to-hand warfare that raged across continents throughout the dark and middle ages is owed just as much to the horses as it does to the men that fought in them. Arabs outmanoeuvred their enemies in the desert on camels and horses, Vikings knew to make a beeline for the stables during raids in order to maintain their mobility on land and European warfare owed much to the horses, mules and donkeys that carried them into battle and carried their supplies. “We’ve got dogs, horses, goats and even chickens from the Dark ages and the Middle ages; we have animals that hark back to the Viking age; we’ve got Arabic dogs and horses that have changed little over time and we have a wide range of Medieval dogs, horses and chickens found during those times. We even have some of the oldest documented types of dogs represented, the Irish wolfhound, the greyhound and the Saluki” says Joust co-ordinator, Paula Winkel. Two Irish wolfhounds will feature at this year’s festival. Paula says there were depictions of this type of dog in manuscripts dating back to the pre-Christian era and historical accounts of “large rough coated hairy dogs guarding houses and hunting wolves that had a close resemblance to the Irish wolfhound”. Irish wolfhounds were highly valued for their large size and strength, and ownership of the swift Greyhound was restricted to nobility. Unlike today, when breed and look are all-important factors, animals were usually differentiated by their use, their region of origin or their type and rather than by breed. For example, Horses in the Middle Ages were described as “chargers or Destriers” (war horses), Courser (fast racing horses) “Palfreys” (riding horses), and “Sumpters” (packhorses). And dogs that hunted by scent were called “Lymers” and Dogs that hunted by sight were called “Greyhounds”, “Aulants” were hounds that went after bigger game, and the “Mastiff” was a heavy set dog for really big game and for guarding, and the “Kennet” were the smaller hunting dogs. Falcons and hawks will feature at this year’s festival along with a range of dogs, horses and poultry that will see festival-goers having the opportunity to get up-close and personal with the birds and beasts. And look out for the bee-keepers, the humble buzzing bee makes an inaugural appearance this year. Paula says the key to hosting Australia’s most authentic re-enactment festival is fastidious attention to detail. “We’re purists, we want this to look, sound, smell and feel as much like the Middle and Dark Ages as possible,” she says. “Animals are key to that and a whole lot of detail and research into designing the Medieval costumes for their handlers, the type for fencing and cages, right down to the leather gear for the horses and dogs. “Yes it’s slightly obsessive referring to manuscripts to make sure we get every detail correct; but there’s also a lot of satisfaction that goes behind making the attire to fit us and the animals perfectly. “The festival is all about fun, adventure and history. 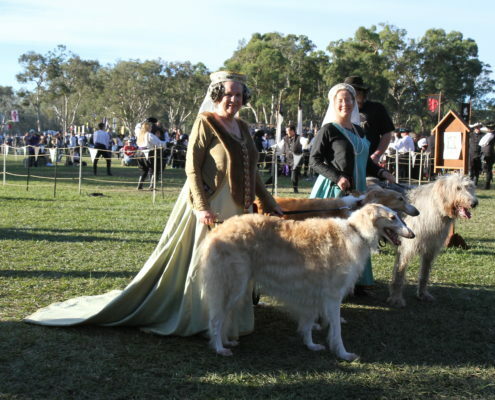 So, travel back in time and have a blast.” Located in Caboolture, The Abbey Medieval Festival, run by the Abbey Museum of Art and Archaeology, will be held on Saturday 14 and Sunday 15 July at 1-63 The Abbey Place, Caboolture. Get you tickets online here! Another guest blog post for your pleasure! Horses were one of the most valued and convenient of commodities in the medieval period. The real value of a horse in Medieval Times. We take horses for granted in our modern age but to the people of the Middle Ages they were as important as a car is to us today. Of course like cars today, not everyone owned a horse in the Middle Ages. Most of the common folk got about on foot and it was only the prestigious that owned a horse, important members of society such as but not limited to nobles, merchants, clergy, and servants of the wealthy and well established tradesmen or professionals. Horses were animals of great importance not just for the use of transporting a rider but also for war, hunting, transporting goods, services and information. This could be done either by a rider on horseback, a man on foot leading a horse (or perhaps a mule) or by cart, wagon and for the very rich, by coach. So what kind of horses did they have? Breeds as we know them today were non existent in the Middle Ages. Horses were not classified by breed but function. It was a very simple process of classification. you need a war horse, buy a war horse. Need a cart horse? You guessed it, buy a cart horse. There were of course specialised traders and breeders who would deal in a specific kind of horse but not so much specific breeds. Horse breeds of 1000 years ago. Historians and horse enthusiasts are still debating today what breeds of horses were around in the medieval period. What is almost certain is that none of the breeds that we have today were likely around 500-1000 years ago. Selective breeding has more or less made it impossible for us to ascertain, with the exception of some pony breeds such as the Icelandic pony and the Dartmoor pony, exactly what these horses would have been. Instead we see modern “reproductions” or likely suspects. Of all types of horses, the one which has perhaps received the most attention in academic and Living History circles is the war horse. So important to a knight was his war horse that he could not be considered for knighthood without one and without showing adequate cavalry skills. In fact the word that was used to describe a knight in the languages of the day, were words which described a cavalryman. Chevalier, ritter, caballero; all were words that meant mounted warrior. A man without a horse or the skills needed to ride in battle was not a knight at all. There were two types of war horse in the Middle Ages, the prized and highly valued destrier and the less expensive, more expendable charger. The destrier was the most expensive horse on the market. Vastly specialised and trained in war it was as much a weapon to the knight who rode it as was his lance and sword. These horses were always stallions and their natural aggression was harnessed and encouraged in acts of war. They were also used in tournaments and often knights jousted for the purpose of knocking an adversary from his saddle and claiming the horse for himself as rules oft times allowed. A destrier could cost in the realm of £20-30 which was the equivalent of a common mans earnings of 10 years or more! Chargers were war horses that were not as highly prized and more commonly found on a battlefield than a destrier. Less costly at around less than half the price of the destrier, they were still very much trained for battle but were less prestigious than their great cousins. They too were stallions for the same reasons. Many people automatically picture a heavy draft when they picture a medieval war horse but this is not the case at all. Most draft breeds did not come about until the renaissance and some not until the time of the industrial revolution and they were bred for pulling heavy loads not for swift and agile manoeuvres in war and combat. Instead the medieval war horse has much in common to it’s descendants of Iberian stock. Andalusian, Lipizzaner, Barb, Lusitano, Knapstrupper and Frederiksborger are all horses which are highly likely to be a good facsimile of a medieval war horse. Clydesdales were never medieval war horses the breed being first recorded in the 19th century and shires originated only a hundred years earlier during the 18thC. It is still debated wether or not the Percheron was around and used as a war horse and if it was it was certainly different to the breed today. Friesians are also subject to an identical debate. hobilar: a rugged and hardy pony which later descended into a “hobby” horse. All of these horses especially the war horse breeds would have been very fit and strong horses because of the fact that they were in constant use. Today we exercise horses for our events and then transport them to the event whereas in the Middle Ages they were the transport and their exercise was more often than not all of their everyday practical activities. Modern jousting horses are similar to the medieval horse in that breed is not important (except for those with large bank accounts and a determined approach to authenticity) but the ability and willingness of the horse to take on the task, excel and enjoy it most certainly is of great importance.